IMPRESSIONS is a sophisticated new concept that combines the superb performance of LuciteLux cell cast acrylic with the extra dimension of texture. A linear design and texture are built into the sheet, adding depth and intensity to any concept. 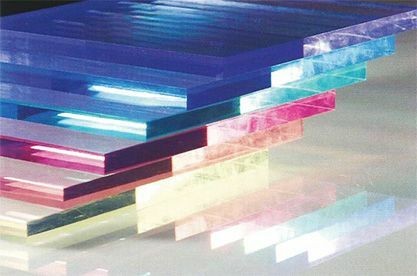 LuciteLux®, America’s original and most INNOVATIVE continuous and cell cast acrylic brand sets your IMAGINATION free and performs like no other. 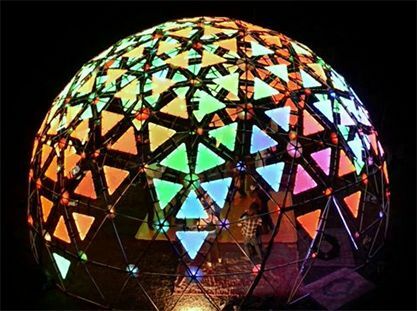 Easy to cut, join, form and fabricate LuciteLux® gives you the spark to turn your most creative ideas into BREATHTAKING reality. 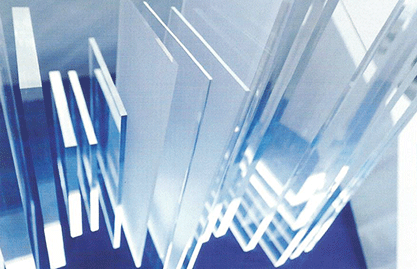 As TOUGH as it is BEAUTIFUL, LuciteLux® resists scratching and its exclusive UV protection keeps colors true. 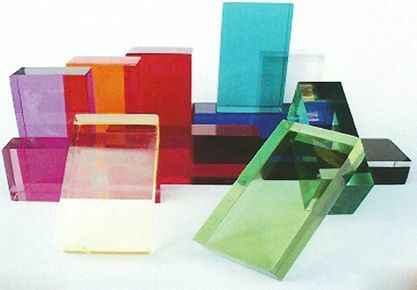 LuciteLux® acrylic offers DAZZLING pallets of colors, effects, textures and thicknesses. Perfect for point of sale uses, displays, signage, furnishing, fittings and virtually anything else you can imagine. Pushing the edge of FUNCTION and DURABILITY, LuciteLux® is simply the right choice for endless opportunities of creative design and illumination. 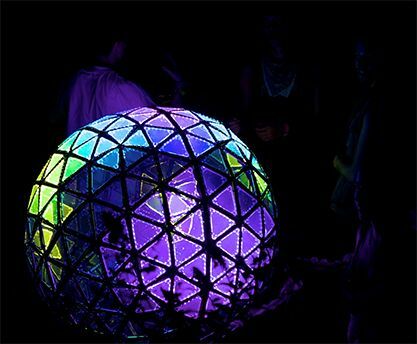 Just imagine theendless opportunities for creative design and illumination that are possible with LuciteLux® continuous and cell cast acrylic. It already has a proven track record in the application that follow. We can’t wait to see what you do with it next. 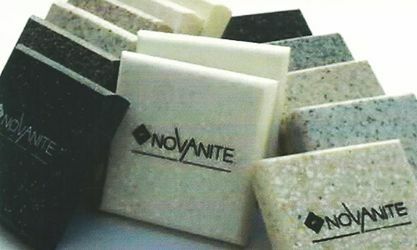 Novanite® is a non porous solid surface of tremendous hardness. It has the appearance of natural stone and is easy to maintain. 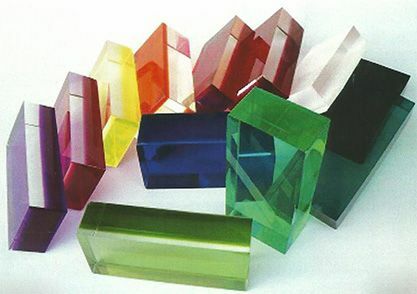 This permits it to be one of the cleanest and brightest materials. 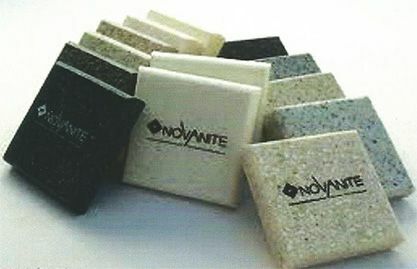 Novanite® is also highly hygienic due to the fact that it does not allow the formation of fungus. 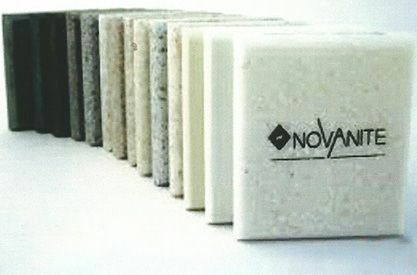 As a consequence of an exact balance in its production Novanite® presents the following attributes. Due to its qualities Designers, Architects, Interior Decorators and others have the freedom to create innovating designs and life styles. Other thicknesses and sizes available upon customers request. Minimum batches may apply. 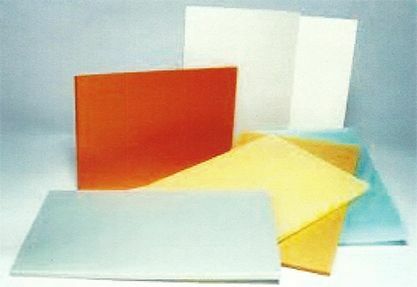 BiColor® is a monolithic acrylic of two layers that shows a translucent color and another in clear which gives this product a unique aspect. 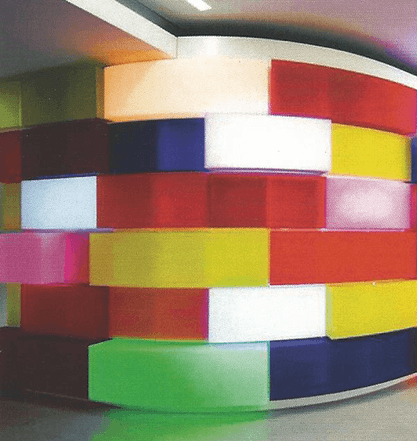 The high tech development of BiColor® allows light diffusion in a spectrum of color. 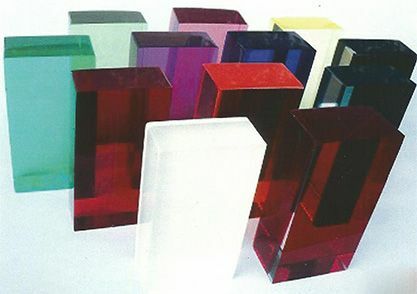 Since it is monolithic it avoids the internal defects normally obtained in cemented substances. 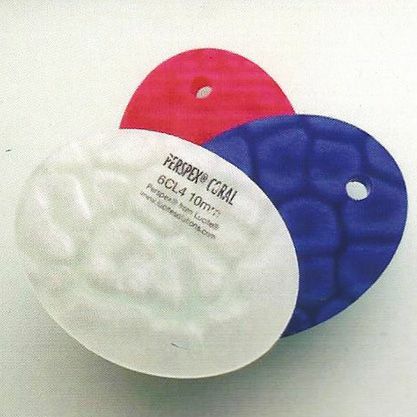 This permits BiColor® to be thermoformed with no delaminating of the color allowing it to maintain it’s optical symmetry in the final piece. 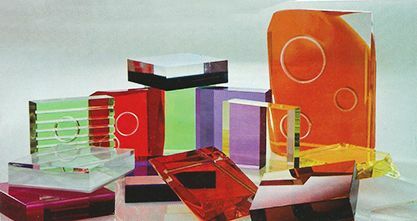 Since BiColor® is a two color thick gauge acrylic when its edges or surfaces are lightened sensations are created changing the tone of artificial and natural light. 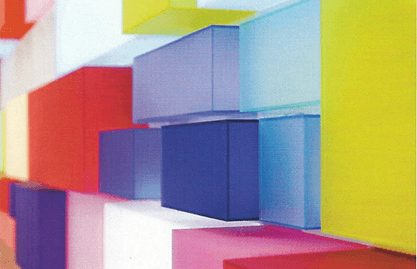 Let your imagination run free with BiColor®. Other thicknesses and sizes available upon customer’s request. Minimum batches may apply. 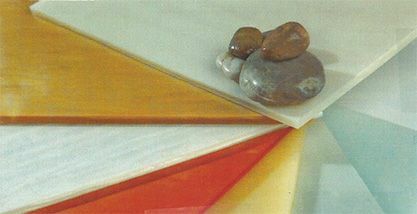 Stonia® is an acrylic surface with veins that simulate natural onyx stone. 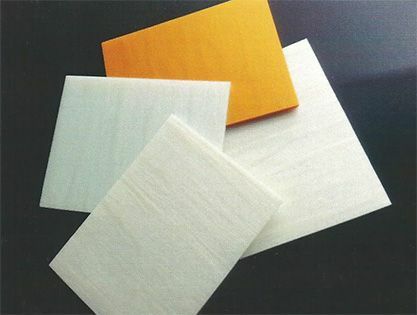 Stonia® is a non porous material of tremendous solidarity and easy to maintain. 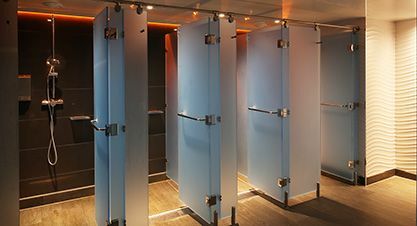 It is highly hygienic as it does not allow fungus formation permitting it to be one of the cleanest and brightest surfaces. Stonia® is available in a range of colors and designs that will capture your imagination enabling you to create innovative and exciting lifestyle of luxury. Stonia® provides Designers, Architects, and Interior Decorators freedom to create environments that offer sensations of space, light and warmness due to the effect it produces upon joining it with our natural and artificial light. Prices are subject to fluctuate with the rises of oil. Prices and availability of products and services are subject to change without notice. Errors will be corrected where discovered, and J. Freeman, Inc. reserves the right to revoke any stated offer and to correct any errors, inaccuracies or omissions including after an order has been submitted and whether or not the order has been confirmed and your credit card charged. © 2019 J. Freeman, Inc.